Bring the summer festivities and beautiful summer scene to your front door with this Flip Flop Summer Seasonal MatMates Doormat. This stunning mat was designed to be used inside your home or outside as a welcome doormat. 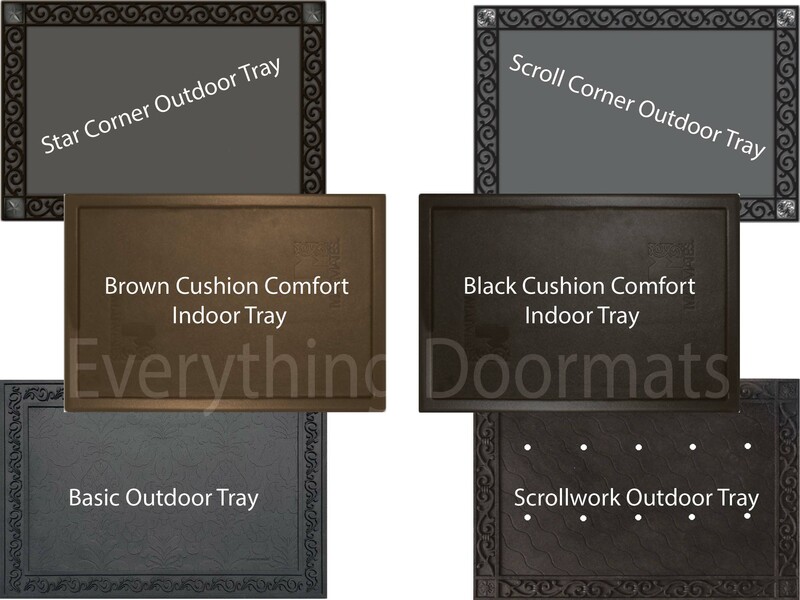 You can add cushion comfort with our indoor tray under your kitchen floor mat. If you use your mat as welcome mat you can pair it with our outdoor tray for an upscale look. Display your mat in the kitchen, by the fireplace, at the front door, or anywhere you wish. This Flip Flop Summer doormat is 18" x 30" when used as a stand-alone mat. Note: The Summer Floor Mat is pictured in our Scroll Corner Outdoor Tray. The outdoor trays and cushion comfort trays are sold separately.